Two Writers Walk Into a Bar is a monthly podcast from Exposition Review where editor and host Mellinda Hensley brings an author to his or her favorite bar in L.A. to discuss liquor, L.A., and writing under the influence of both. 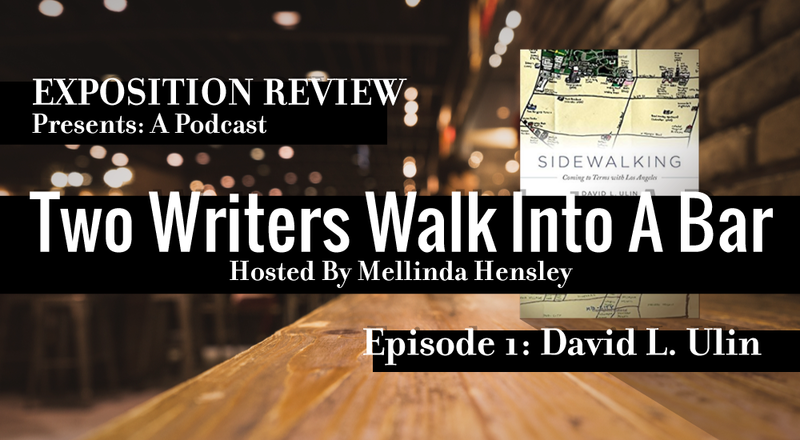 This podcast, the very first in the series, is a conversation with author David L. Ulin about his book, Sidewalking: Coming to Terms with Los Angeles. He discusses travel, class tours, and the way our memories influence the view of our everyday landscape. More episodes coming soon! Subscribe to the Two Writers Walk Into a Bar podcast here.